With a lack of support from academia and the art establishment, black artists have historically struggled for respect and recognition. 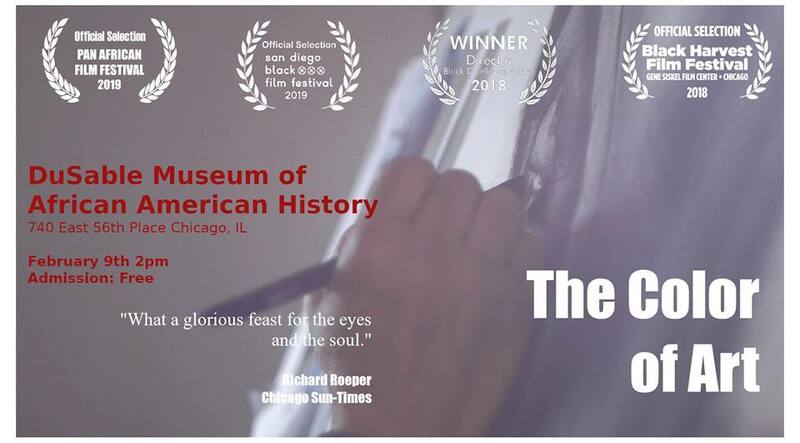 This lively and informative documentary explores the present-day renaissance of black art in Chicago, centered on neighborhoods such as Bronzeville and organizations such as the South Side Community Arts Center and the Hyde Park Art Center. Diverse and talented artists such as RJ Eldridge, Shyvette Williams, and Jesse Howard are profiled, but, rather than focusing on isolated creators, the film examines the ecosystem of artists, gallery owners, curators, and collectors that sustains the movement. There is a special emphasis on the relationships between artists and collectors, which are especially close and crucial in the black arts movement. Listen in on an engaging lecture by director David Weathersby following the film.